Daily Progress names Ingrid Ramos to "Distinguished Dozen"
Ingrid Ramos, LPC, is one of twelve Central Virginia residents honored in the Daily Progress’s annual “Distinguished Dozen.” Ramos is the Bienestar & Resilience Programs Director for The Women’s Initiative. We are thrilled to welcome three therapists to our Clinical Team! 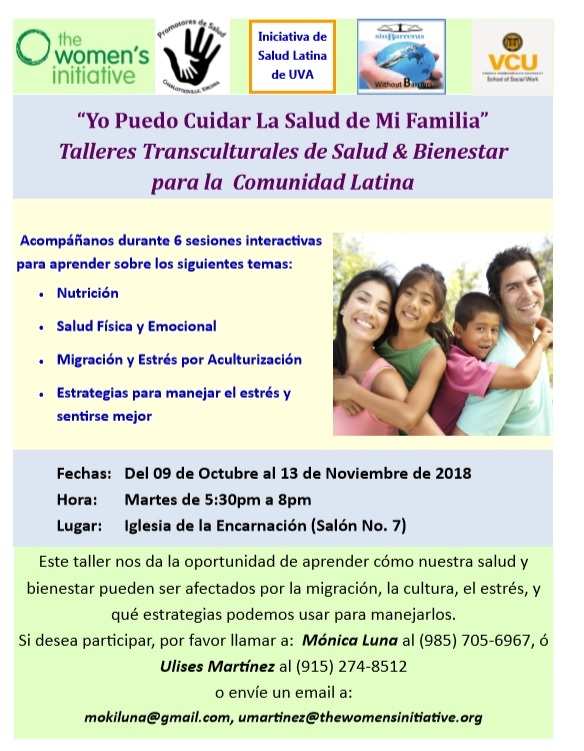 Monica is a Bilingual Therapist working with our Bienestar program to provide counseling, social support and education for Latina women in our community. She is passionate about treating women who have experienced trauma. Aislinn is a Part-Time Mental Health Therapist who will be working with clients two days a week in individual counseling and walk-in clinic. A Charlottesville native, Aislinn views therapy as a collaborative process, supporting each client in accessing their innate capacities for understanding and growth. Alyson is the Sister Circle Mental Health Therapist, working with our Sister Circle program to provide mental health and wellness programming for Black women and women of color. Alyson will be co-facilitating the weekly Sister Circle support group as well as seeing clients in individual counseling and walk-in clinic at our main office. Alyson describes a client’s process as the overcomer’s journey, where the path on the road to progress can be a bumpy one, but it leads to resiliency, resourcefulness and perseverance. Read more about our whole team here.